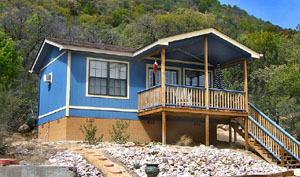 Web site for Pinos Altos Cabins and Nightly Cottages, located just six miles from Silver City, New Mexico, and two miles from the historic mining community of Pinos Altos. 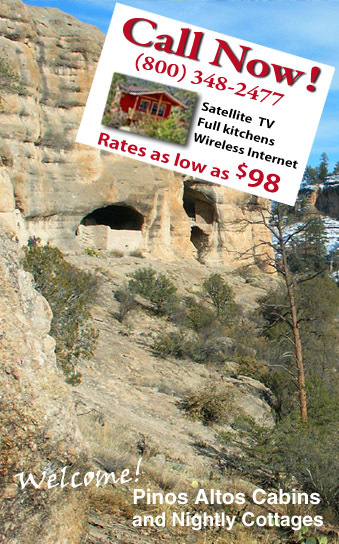 Just $119: Save $ 40! As low as $119: Save $40! Now $ 119 : Save $ 40 ! 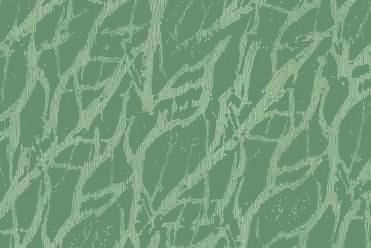 to see a random image. Content and all photos © by Bob Pelham and Pinos Altos Cabins and Nightly Cottages unless otherwise noted. These are some of the finest cottages in Grant County and perhaps the very best location. Eight minutes to Silver City and two minutes to Pinos Altos makes this the place to be in Grant County! Each cabin includes wireless high-speed internet, satellite television, a full kitchen, and everything you need for a comfortable and stress-free stay. 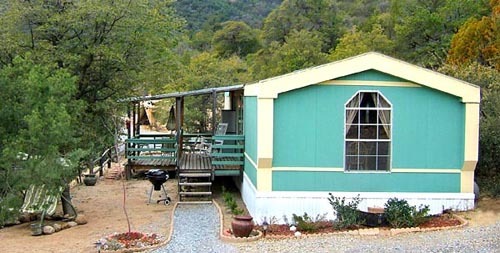 Come and enjoy the clean mountain air, quiet privacy and incredible views! 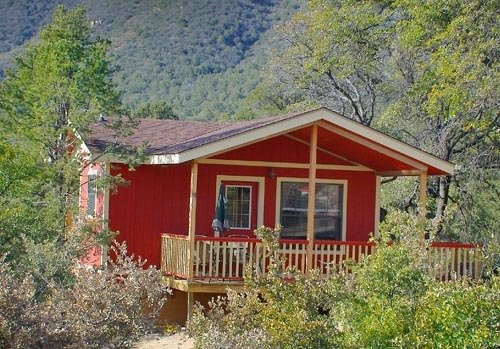 From the quiet hillsides of Pinos Altos Cabins and Nightly Cottages, you and your family can enjoy the silence of our mountain setting and the convenience of fully equipped, modern cabins. Pinos Altos Cabins and Nightly Cottages is proud to be a member in good standing of the Silver City - Grant County Chamber of Commerce.